In just two days, Toronto will welcome 71 BC-linked athletes, guides and officials to the 2015 Parapan American Games. Kicking off this Friday, August 7, the 15-sport event will be the largest Parapan American Games yet. Forty-four athletes and guides that reside from and/or train in BC will make up 20 per cent of Team Canada’s 216 Parapan Am roster, ready to compete on home soil against 28 countries from North America, South America, Latin America and the Caribbean. In the lead up to the Games, many BC athletes and coaches have received world-leading training and support from Canadian Sport Institute Pacific, the PacificSport provincial network and other regional sport centres across the province. Unlike the Pan Am Games, each competition over the two weeks will double as a Rio 2016 Paralympic qualifier. With this in mind, BC athletes hope to help the Canadian Parapan Am team achieve their goal of finishing in the top three nations. Notable BC athletes competing in Toronto include 2011 boccia gold medalist Paul Gauthier from New Westminster, 2011 Parapan Am archery gold medalist Kevin Evans of Jaffray, and veteran goalball player Ahmad Zeividavi from Vancouver. In wheelchair tennis, it is an all-BC women’s team, as partners Chokyu Yuka and Ishikawa Mika both hail from Vancouver. Also representing the West Coast for Team Canada is four-time Paralympic swimmer Elisabeth Walker Young from North Vancouver. 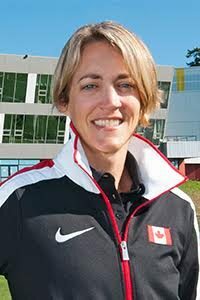 Young was named Canada’s Chef De Mission for the Parapan American Games and recently joined ViaSport in the role of Project Specialist, Sport Development. Of this year’s contingent, 23 participants have also competed or officiated at a BC Games and/or represented Team BC at the Canada Games or Western Canada Summer Games. Kelly Mann, CEO of the BC Games Society knows how important these multi-sport competitions are to shaping young athletes. ViaSport would like to wish all BC and Team Canada athletes the best of the luck at the Parapan Am Games. Join us in cheering them on using hashtags #TeamCanada #TO2015 and #PARATOUGH.